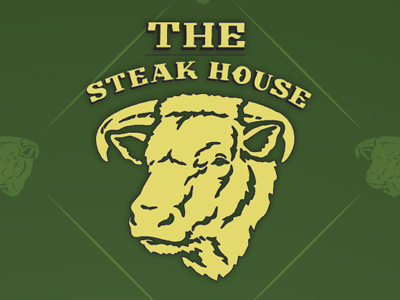 THE Steak House restaurant in Circus Circus is an award-winning steakhouse with an elegant atmosphere. The dimly-lit wood paneled room and attentive service allow you to relax and enjoy a fabulous meal. The steaks are the finest quality aged beef grilled over mesquite to add that special smoky flavor and the seafood is skillfully prepared to perfection. THE Steak House restaurant in Circus Circus is an award-winning steakhouse with an elegant atmosphere. The dimly-lit wood paneled room and attentive service allow you to relax and enjoy a fabulous meal. The steaks are the finest quality aged beef grilled over mesquite to add that special smoky flavor and the seafood is skillfully prepared to perfection. Watch the chefs in action preparing your meal flawlessly. Enjoy a cocktail or glass of wine to compliment this incredible meal. For over 20 years this restaurant has been one of the best-kept secrets in Vegas! Early dining specials from 4pm-6pm, featuring $5 Sterling Vintner’s Collection wines and 1/2 price cocktails. If you told me the best steak house in Vegas was in the dump they call Circus Circus, I’d call you crazy! Amazing service from the host and the two servers. Fresh bottled water poured with precision from behind you. NY Strip Medium Rare was the best ever hands down. House salad and bread basket assortment was delicious. Party of 11 left with lighter wallets, full bellies and smile on faces. Will go back when in Vegas.